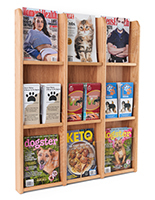 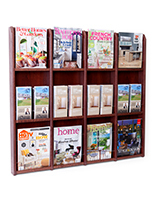 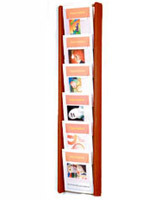 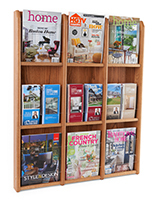 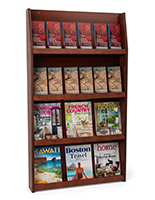 Buy A Magazine Rack To Keep Literature, Magazines & Publications Neatly Organized! 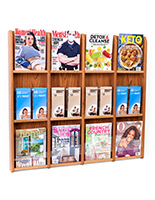 Shop Online With MagazineRackShop For A Great Selection! 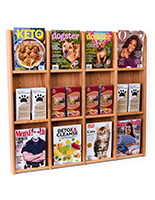 This is a 30"w x 37"h x 3"d wall mount magazine rack. 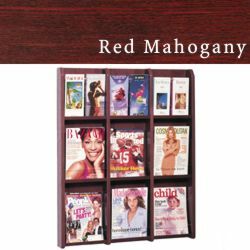 It is constructed of a solid oak (red mahogany finish) frame with acrylic front panels. 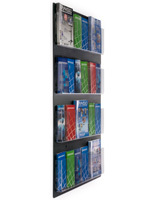 It accomodates 9 magazines or 18 brochures with the use of the plastic clip-on divider (9 included).